A Place Of Your Own! 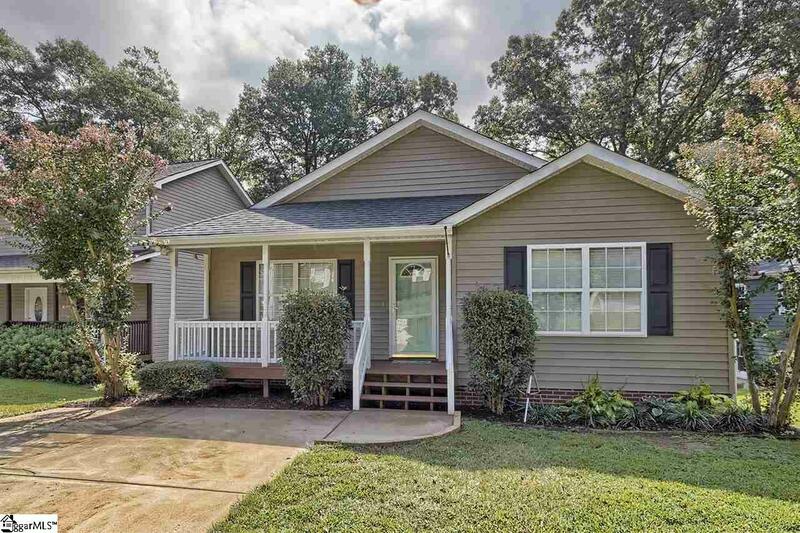 Enjoy living on your own terms in this one story 3-bedroom/2-bath home on 0.28 acres in the Downtown Greenville area. Features include: a chic living room with hardwood floors; master suite with walk-in closet for lots of clothes; elegant dining room; first-floor laundry; updated kitchen with granite countertops, garbage disposal, microwave, dishwasher, refrigerator, electric range; Do not miss the tall walk-in crawlspace; fenced back yard for playful toddlers or pets; off-street parking; heat pump; large deck for grilling; front porch; shaded yard; mature plants; fireplace is sold As-Is; new paint; new carpet. Convenient to Cleveland Park and the popular Swamp Rabbit trail.